We all want to get a fair price, regardless of what we’re after, right? Well, that might be entirely accurate, but, sadly, that’s just not the case every time. The reasons for our spending inefficiency are various, but we’re here so that you can shorten the list, at least as long as spotting scopes are in question. In this article, we state and explain the price point categories of the best spotting scopes. We’re going to talk about what you can expect for the money you’re prepared to cash out, so let’s see what we’ve prepared for you. Let’s start with the lowest price point category – the “budget” price range. A good example of a budget spotting scope would be Barska’s 40×50 Colorado Spotting scope. Essentially, most budget scopes are pretty mediocre overall. 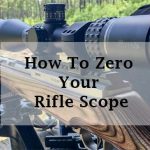 Generally, the scopes in this range are ideal for beginners, as these scopes will help you get accustomed to the basic mechanics and principles of how these contraptions work. Sadly, you shouldn’t expect anything else, as these scopes are inferior in terms of performance and durability when compared to scopes from other price point categories. A cheap beginner Spotting Scope. Essentially, you shouldn’t expect too much, but these scopes are always good for the buck as they’re extremely affordable. The “Low-End” stands opposite to the “High-End” price range which is considered to be the best of the best, but that definition is not exactly appropriate. Namely, the low-end price range is a level above the “lowest” price point category – the “budget” range. Now, Authentic’sRoxant Blackbird is one of the finest low-end spotting scopes, and you won’t regret the extra cash spent on it shoud you search for Spotting Scopes in this price range. In essence, this price point category offers a balanced catalog of affordable, moderately reliable scopes. Low-end spotting scopes are good for beginners, but you might even like them for a while. Basically, these scopes are quite balanced overall, and they could last for a couple of years, offering moderate reliability all the while. Now, the “affordable” price range implies that these scopes are quite cheap, but that’s not exactly the reason. Generally, these scopes are a bargain if we’re to compare them to super-expensive high-end scopes over $1000, but they can’t come close to “budget” scopes in terms of affordability. Nevertheless, the scopes in this price range are better than those in “low-end” and “budget” ranges in terms of performance, and most people will be satisfied with the outcome. 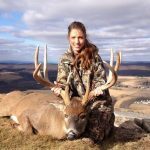 Bushnell’s Trophy Xtreme Spotting Scope is a great example of a valuable affordable spotting scope, but this range is also filled with various models that are relatively similar. A solid-performance Spotting Scope. Nothing short of great, but still far from perfect, to say the least. Generally, spotting scopes in the medium price point category are in the “golden middle”. They’re not too expensive, but they’re still far from being cheap. Vortex Optics DBK-80S1 Diamondback 60×80 is, perhaps, the best representative of this price range. Now, “medium” price point category is filled with beautiful high-performance spotting scopes. You should expect quite a lot, but you should also be prepared to pay for the pleasure. Simply put, this is the ultimate price point category where you can expect literally anything. Namely, the range of $500 and more is quite big, especially since there are scopes that cost well above $1000, but only a handful of people will be capable of cashing out such an investment. You can expect anything, but, most of all, you should expect quality for this cash. Now, the only question is whether or not you are capable of paying a fortune for your scope, but it will definitely be worth the price. Now, Roxant’s Blackbird is one of the best low-end spotting scopes. Namely, it features a rugged non-slip armor construction and the “smooth glide” focus ring on the barrel, allowing for durability and easy usage. Furthermore, this compact precision scope is outfitted with a zoom that can reach up to 36x, which is pretty awesome if you’re into stargazing, birdwatching, or even hunting. All in all, this is an affordable spotting scope that does a good bang for the buck. Basically, most people who’re well-versed with Spotting Scope mechanics look favorably upon the Razor HD. The reason for that is the simplified method of operation, but there are other features that simply make this scope shine in all aspects. Simply put, this spotting scope excels in nearly all aspects of performance, including versatility, performance, features, design, construction, and more. Sadly, the only bad thing is that this scope costs quite a lot.